When armed robber and killer Corey Baxter (Ian Meadows, House Husbands) resurfaces in Sydney, an under pressure Sergeant, Grace Gibbs (award winner Rachel Griffiths, Murial's Wedding) is determined to catch the killer. Since Baxter killed her junior officer a year ago Grace has been left guilt ridden and angry, her marriage in tatters, her career in jeopardy and in enforced anger management. 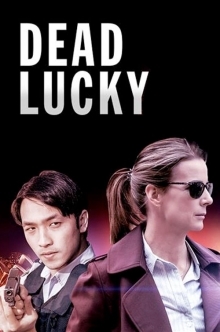 As Grace begins to track Baxter, her temper is put to the test when she's allocated a junior detective to train Charlie Fung (Yoson An, The Meg). Charlie was a close friend of Lincoln's (Lincoln Younes, Love Child) and blames Grace for his death, getting their partnership off to a rocky start but the two must learn to get along and catch Baxter before he wreaks havoc across the city.